Police have confirmed that a prosecution will not take place over the death of a nine-day-old baby which sparked an inquiry into care at a maternity unit where 18 other infants died. 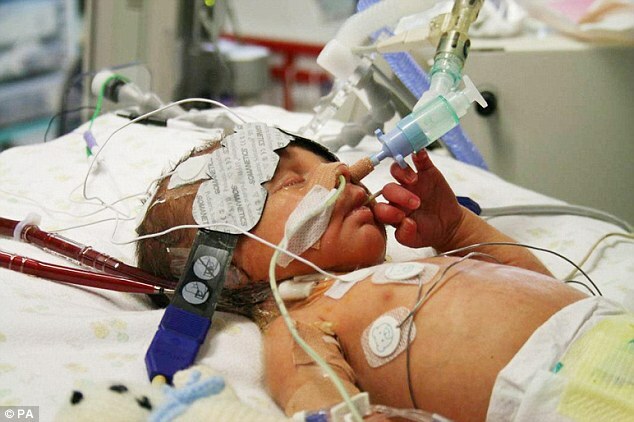 Joshua Titcombe, from Dalton-in-Furness, Cumbria, was born at Furness General Hospital in2008, but died days later after midwives repeatedly missed chances to spot and treat a serious infection. His father James had argued for the inquest in 2011 after refusing to accept the initial explanations given for Joshua’s death and filing an official complaint about his treatment. It was uncovered that the infant’s observation chart had gone missing and was never found, while a coroner accused midwives of ‘colluding’ over mistakes made. A police investigation into Joshua’s death was launched in March 2011 and later widened to include the deaths of 18 other babies and two mothers at the hospital. But in 2012 detectives said no action would be taken in relation to the deaths, apart from Joshua’s case, which had been passed to the Health and Safety Executive (HSE) for its consideration. They also investigated 14 births which involved complications, but also recommended no action be taken in relation to them. Today, (24th April 2015) Cumbria Constabulary announced the HSE had notified them that it would not be carrying out any further investigations and its four-year-long investigation into the cases of 35 people who suffered within the hospital maternity unit between 2004 and 2013 has now been closed.